Tabbies 74541 Blue Economical Vinyl Out Guides are a cost-efficient choice when a full pocket is not necessary. 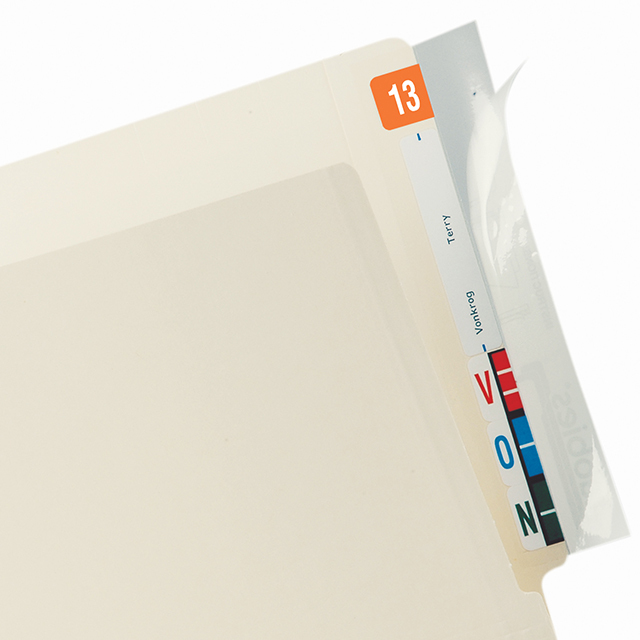 Easy to read “OUT” is embossed on both sides of the rigid vinyl guides. 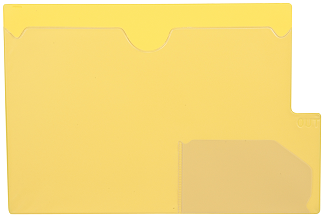 3″H x 5-1/2″W pocket for charge-out slips which is Item #74559 . These guides are letter size 13″W x 4″H. Other available colors include Red #74540 , Green #74542, Orange #74543 and Yellow #74544. 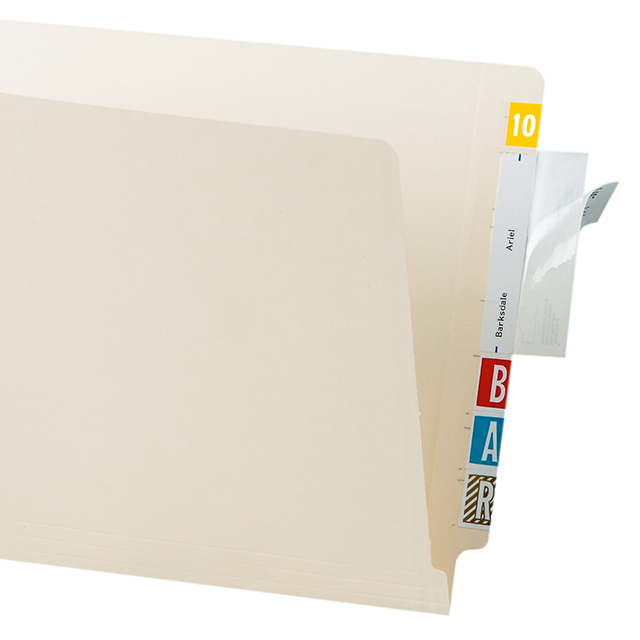 These out guides help to keep a place for a removed file which allows for easy re-filing. 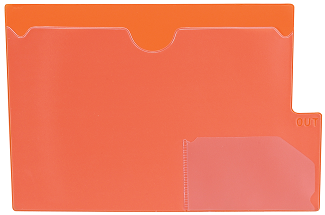 The guides include a 3″ X 5″ clear pocket to store a charge out slip or in house information. The tab is embossed “Out” on both sides of the guide and comes in a pack of 10. 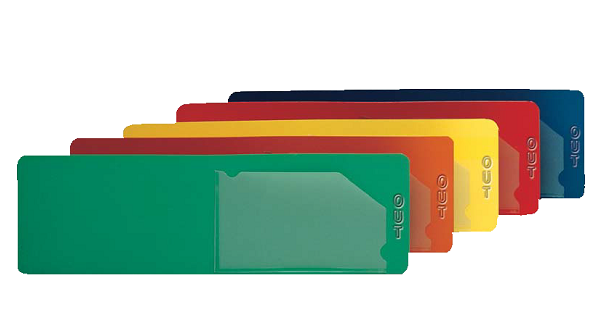 ALSO available are Bottom Tab Out Guides in Red, Blue, Green and Yellow as well as Large Tab Out Guides in the colors or Red, Blue, Green, Orange and Yellow. Another option available is the Center Tab Out Guides which are available in Red, Blue, Green and Yellow.